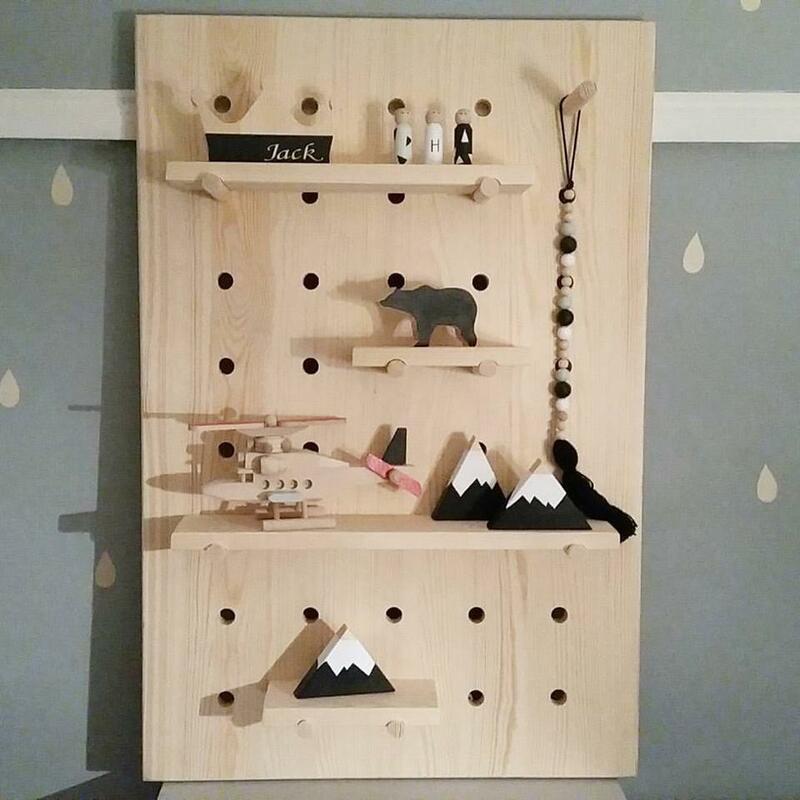 Our large board shelf is handmade of 100% pine wood. 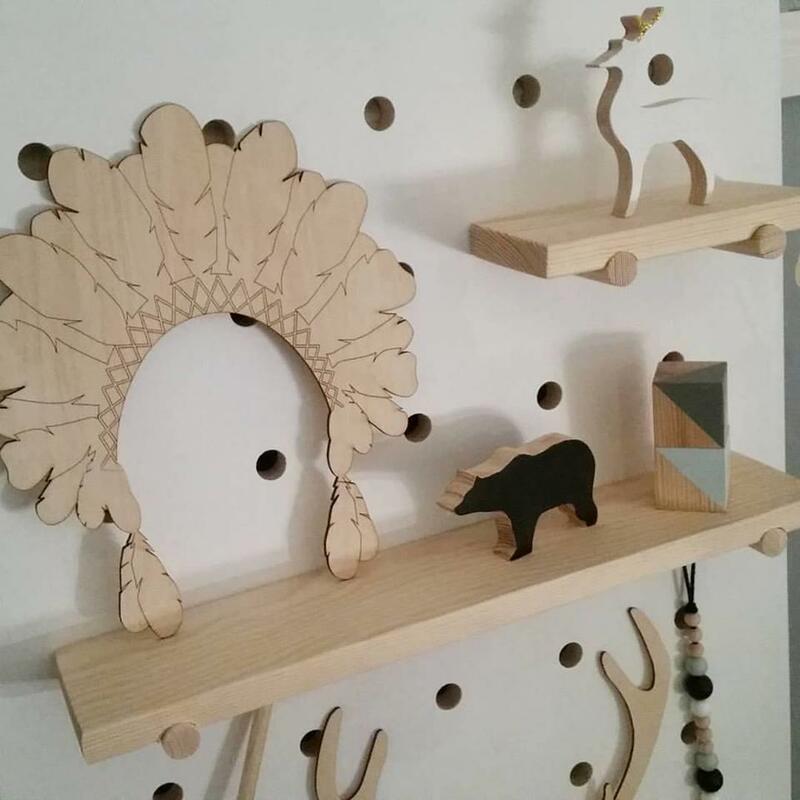 It;s a great wall decor not only at kid's room. Four shelfes can be put whenever you want at the board. 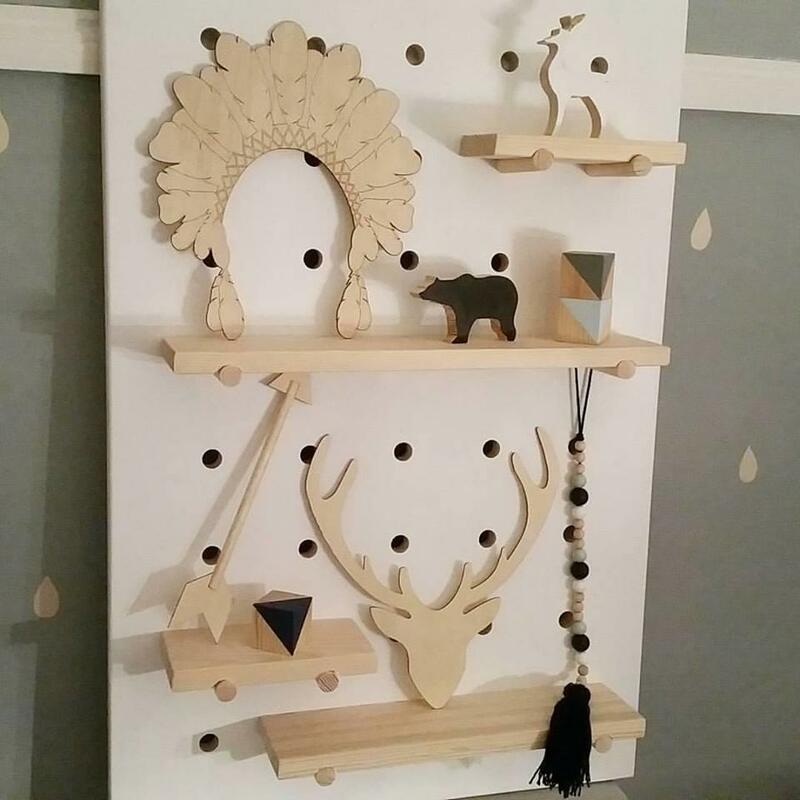 Wall hooks, dowels and 4 shelfs are included. The board can be plain or painted in different colour. Shelves are plain wood. We use acrylic, non toxic, child friendly paints. Please choose the colour and leave the note. Turnround is 7 working days.